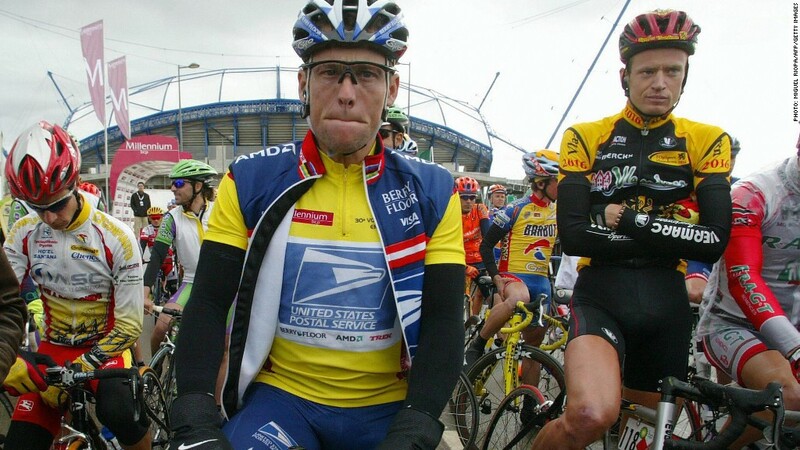 Lance Armstrong might return some USPS sponsorship money. The campaign to rehabilitate Lance Armstrong's public image might include a return of sponsorship money paid by the United States Postal Service, according to a source familiar with the situation. The cyclist, who has been stripped of his seven Tour de France titles, is in negotiations to return some portion of the agency's sponsorship money, the source said. USPS was one of Armstrong's biggest financial supporters during the most successful period of his career, and millions of dollars were paid to finance the team's operations. While total figures are not available, USPS paid more than $30 million to sponsor the cycling team between 2001 and 2004, according to documents reviewed by ESPN and the Wall Street Journal. A representative from the USPS, which rarely comments on its relationship with Armstrong, declined on Monday to confirm the sponsorship totals. The agency's sponsorship of the cycling team, even when Armstrong was regularly winning tour titles, was controversial. In 2003, the USPS Inspector General issued a report that was critical of the agency's practices, saying it was unable to verify the financial performance of sponsorships, and that the arrangements were "not effectively managed." In October, Armstrong was stripped of his titles and banned from cycling after an exhaustive report from the United States Anti-Doping Agency put him at the center of a team-wide USPS doping conspiracy. Weeks later, Armstrong stepped down from the board of his foundation, Livestrong. Media reports indicate that USPS support for Armstrong is also the subject of a whistleblower suit brought by Floyd Landis, Armstrong's former teammate who tested positive for performance-enhancing drugs after winning a Tour title of his own. Landis had accused Armstrong of doping, likely a violation of the team's sponsorship agreement with USPS. Whistleblower suits are kept under seal, and the Department of Justice has not publicly addressed the matter. The government could decide to join the suit, and the New York Times reported Monday that Armstrong is in discussions to testify in the case against the team's owners and other officials. Patricia Licata, a spokeswoman for USPS, said in a statement that the agency is "well aware" of developments surrounding Armstrong and is "following the situation closely." "We are not in a position now to discuss any of the legal issues associated with these developments and the prior relationship between the U.S. Postal Service and Mr. Armstrong," Licata said. "But we will do so at an appropriate time." A voluntary return of some USPS funds could be part of Armstrong's public relations offensive. The former cyclist is thought to have admitted to doping during a taped interview set for broadcast on Friday. Armstrong has also apologized to the staff of the cancer charity he started, a publicist for Livestrong Foundation said. For Armstrong, the financial implications of a doping admission extend beyond USPS funds. Armstrong had been a highly sought after spokesman for years. He made about $17.5 million in endorsements in 2005, the last year his earnings were tracked by Sports Illustrated's Fortunate 50 list of the top paid active athletes. While that put him as the eighth highest endorsement earner that year, his endorsement deals have decreased since he retired from sports in early 2011. Armstrong's two remaining major sponsors, Nike (NKE) and Anheuser-Busch, announced after the USADA report was released that they were ending their contracts with the disgraced cyclist. -- CNN's Kevin Bohn and Joe Sutton contributed to this report.